When shopping for older kids it is easy to default to gift cards. 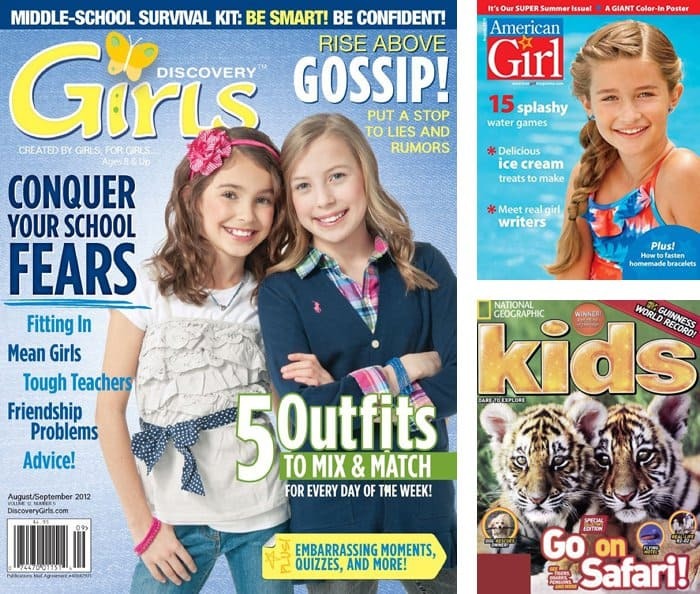 Check out these creative Christmas gifts for tween girls instead. This is my daughter’s Christmas list: iTunes gift card. Barnes & Noble gift card. Claire’s gift card. Are you starting to see a theme? Below are three alternatives to giving plastic this holiday season. Tweens are at that spot right on the edge of childhood. I strongly believe at this point, more than ever, that we need to continue to inspire our children’s creativity. 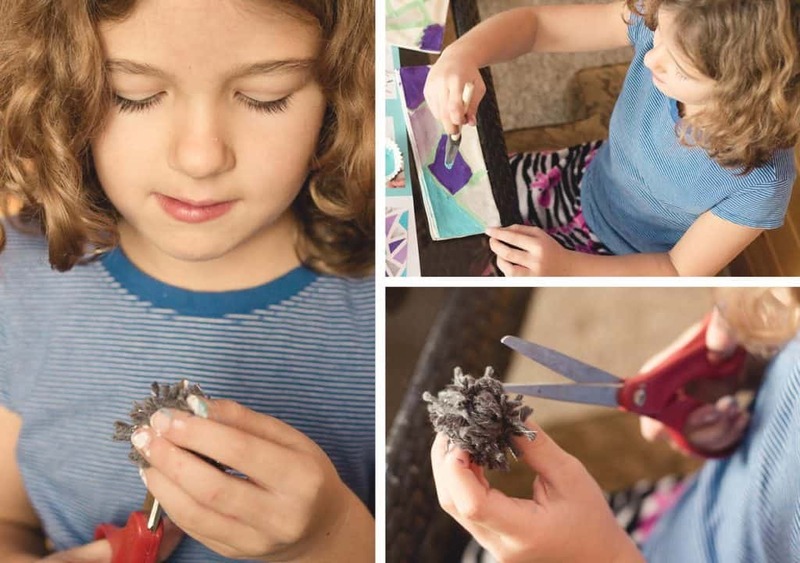 This is a great alternative for girls who love to do arts and crafts. 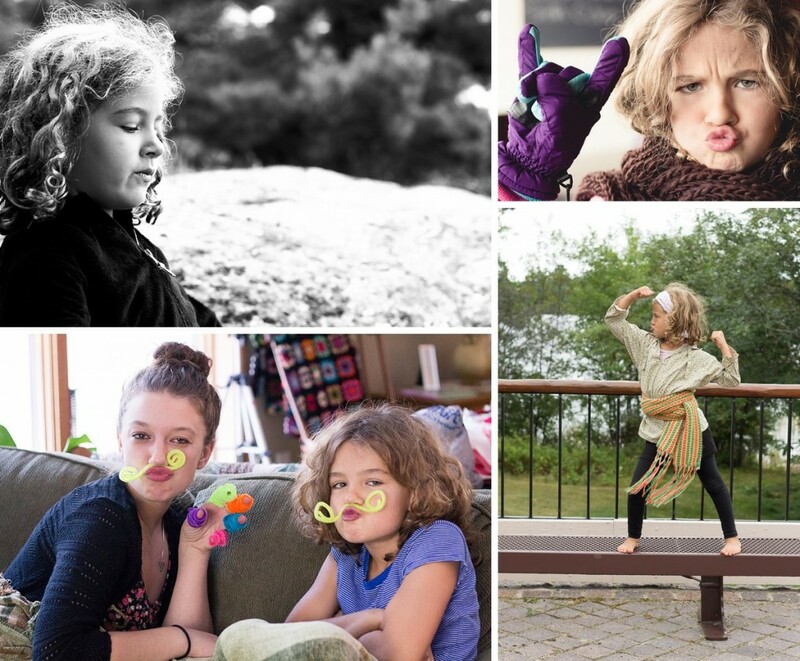 As a parent of tweens, I’ve started to notice that three-quarters of the ideas on Pinterest are geared toward preschoolers. Can you relate? My girls don’t want to do hand print art anymore, they need something more. Lately, I’ve been at a stand-still when it comes to offering the girls project ideas. 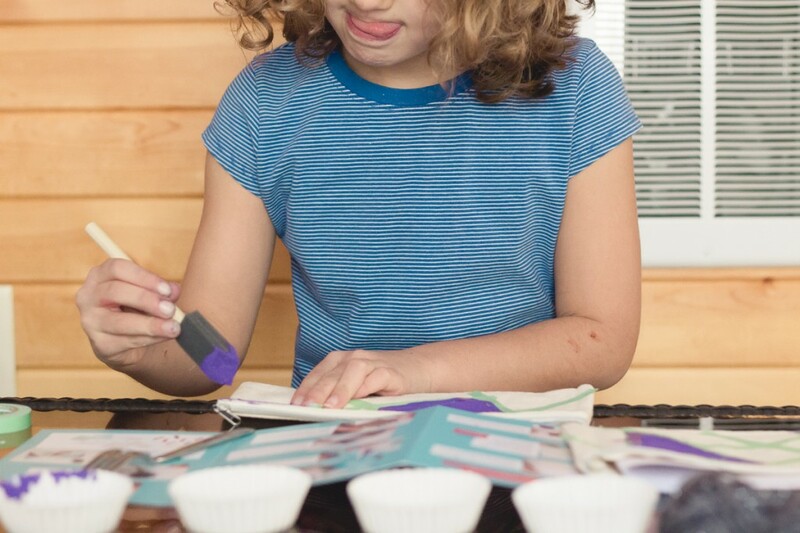 What I like about Doodle Crate is that they foster creativity with age appropriate projects. Click here to check out some of their sample crates and gift options. My daughter was beyond giddy when she opened this sample Geometric Canvas Pouch Doodle Crate. You’d think, since I’m a parent, the smile (right) is what would make me *love* Doodle Crate, but it’s not. THAT is the quirky face my daughter makes when she is happy and truly engaged in a project. My daughter prepped her workspace and diligently read the instructions. She assured me that this was HER project and that she didn’t need my assistance. She got started on her tape resistant painting project. Her favorite part by far was the little pom pom that you attach to the zipper of the canvas pouch. Check out her sweet smile on this Instagram video. Our crates introduce fun crafting materials and interesting techniques. As kids dig in, they begin to see how materials can transform. They start dreaming about the possibilities and exploring their own ideas. 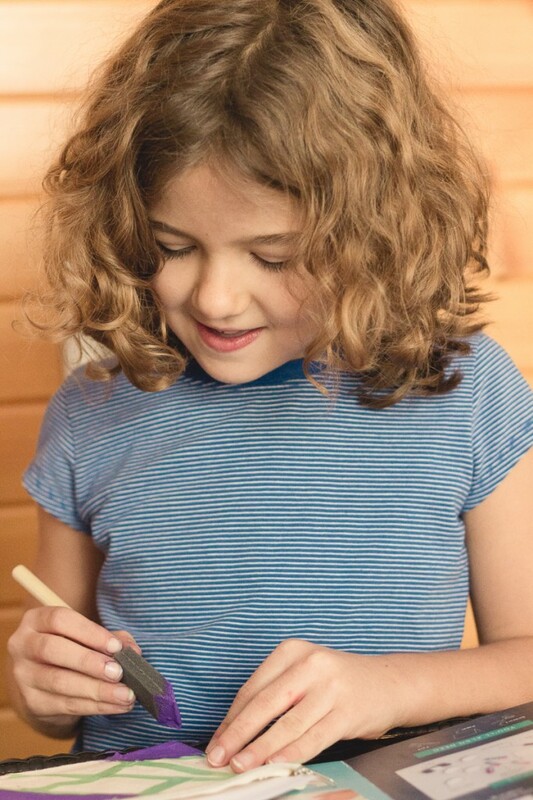 By exercising their imagination and creativity, children learn something new. 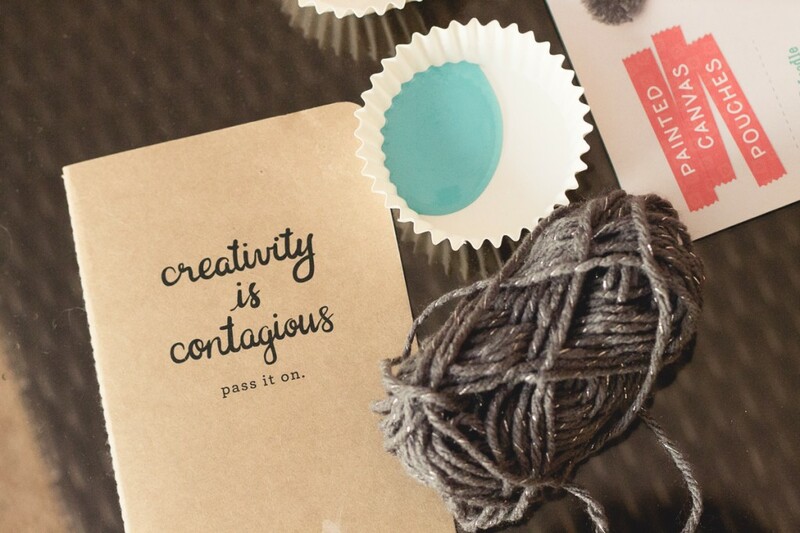 We love seeing them develop an enthusiasm for making and creating something all by themselves. After my daughter finished her Doodle Crate she wanted to know if we had more yarn. She spent a good portion of the afternoon experimenting with making different sizes and types of pom poms to attach to holiday gifts. Sooooo, yeah. The creators of Doodle Crate were right on. I officially take back my snarky mumbo-jumbo comment. We live in a digital world, give your tween the gift of old fashion snail mail. They’ll love the monthly read. Our girls continue to enjoy National Geographic Kids. I’ve also heard wonderful things about the American Girl Magazine from friends with daughters. And Discovery Girls looks like something my ladies would love, too. 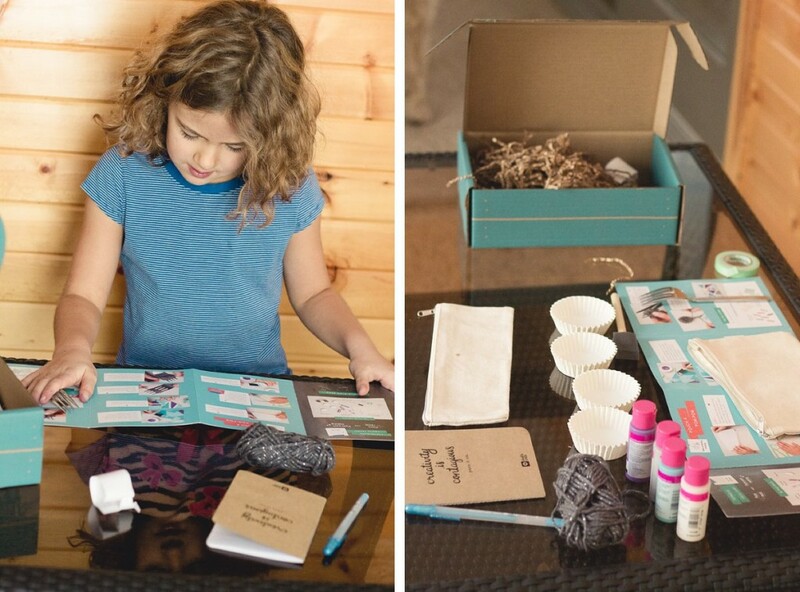 If your not-so-little lady is not crafty, I highly recommend the creative Tinker Crates (Ages 9-14+), too. I am considering a subscription to that for my daughter as well this year! What would you add to this list of ideas? Let’s chat in the comments. Click here to listen to Sir Ken Robinson’s TED Talk. Let’s keep our girls open to divergent thinking by providing them thoughtful gifts this Christmas. Great write-up. Love the quote and statistics at the end. The ever awesome Sally introduced us to Zentangles. My tween artsy daughter and her friends love these! We have a great book that craft stores and bookstores carry, but you can get pattern ideas for free on Pinterest. Needs for this project are thicker white paper, fine tipped permanent markers found in the scrapbookumg area and colored pencils or markers to color in these fabulous tangles to make them fun. Can also be kept black and white. We have given this group of items as a gift.